This feature is represented by two hideable sliding panels on each side of the screen. 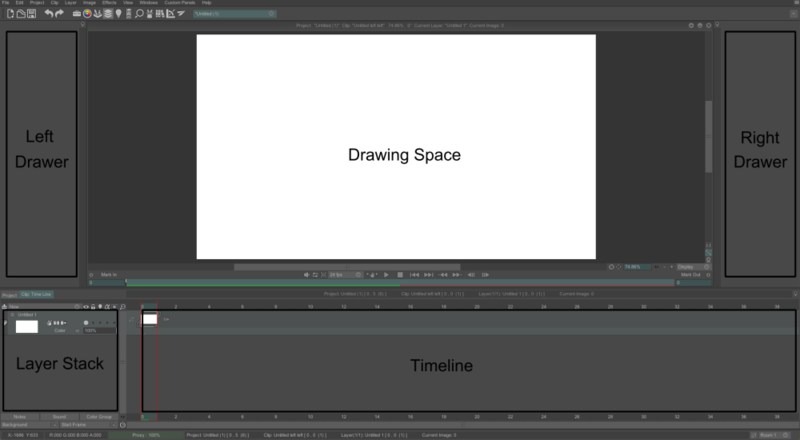 These are two handy spaces where you can place and arrange almost all the panels of TVPaint Animation. When hidden, the workspace becomes totally clear. The workspace can now be divided into 4 main parts containing the Current project window, the Timeline window and the two Drawers. A full section will be dedicated to the Drawers feature further in this lesson.